TULSA, Okla. – By the time Zylan Cheatham crawled into bed, it was 5 a.m. Central time, right around the time others were waking up and starting their day. The Arizona State forward’s pre-dawn slumber fell midway through a span of more than 18 hours, in which the Sun Devils beat St. John’s 74-65 in a play-in game Wednesday in Dayton, Ohio. The tournament game ended close to midnight. Then, the Sun Devils loaded a plane with the Arizona State band and cheerleaders and headed straight to Tulsa, Okla., where they landed around 4 a.m. Thursday. The 11th-seeded Sun Devils (23-10) face No. 6 Buffalo (31-3) at 4 p.m. Friday in a first-round NCAA Tournament game at the BOK Center. The Bulls will definitely be rested against the Sun Devils, five days after winning the MAC championship Sunday in Cleveland. The Sun Devils, meanwhile, have to make a quick recovery, with less than two days between games. “I’d say the most tough part about it was just leaving straight from the game, your bags are already packed, you go straight to the airport, and you get straight back on the road,” said Cheatham, who scored 14 points and had 10 rebounds against St. John’s. “On the flip side of that is our fans and our dancing and cheer team and our band, they did such a good job of keeping us in positive spirits, keeping us happy. 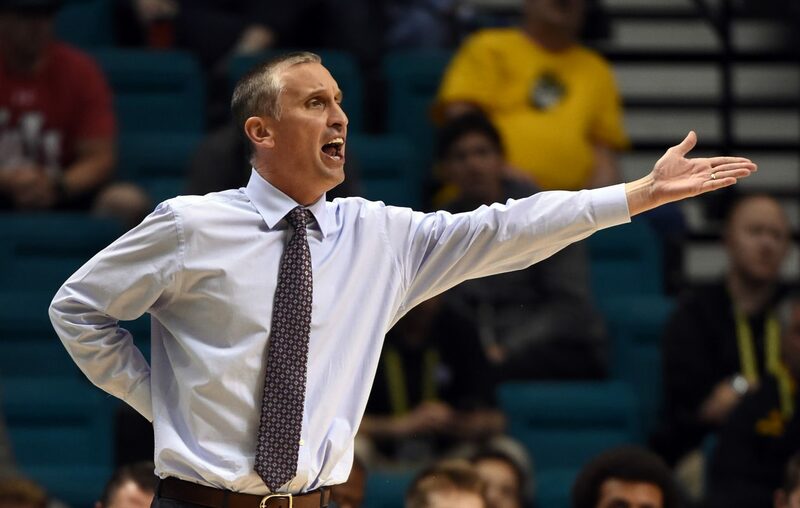 Arizona State coach Bobby Hurley put it in quick perspective – almost as quick as his team’s turnaround after its win against St. John’s. Hurley and his staff used the flight time to study film on the Bulls. Less than a day after Luguentz Dort hit the floor of the University of Dayton arena with a thud, Arizona State's freshman guard was back on the court with a bounce in his step for the Sun Devils. Dort took part in Arizona State's shootaround Thursday at the BOK Center. Dort tumbled to the floor as he attempted to grab a rebound less than 35 seconds into the second half against St. John’s after he got tangled with Red Storm guard Mustapha Heron near the foul line. Dort was face-down on the court for a few minutes, but walked off the court under his own power. Dort scored a game-high 21 points against the Red Storm. The guard from Montreal averages 16.2 points per game. Hurley and UB coach Nate Oats meet in the NCAA tournament for the first time as head coaches, but Hurley, a former Duke point guard, recalled when he and Oats took part in 6 a.m. pickup basketball games at UB. Hurley admits he isn’t at the competitive level he was in the early 1990s, when he was a first-team All-American with the Blue Devils in 1993. UB guard CJ Massinburg and forward Nick Perkins were named to the National Association of Basketball Coaches All-District team for District 14. Jeremy Harris was named to the second team. St. Bonaventure’s Courtney Stockard was named to the first team in District 4. Niagara’s Marvin Prochet and Canisius’ Takal Molson were named to the second team in District 1, two of four Metro Athletic Atlantic Conference players to be honored. The teams were selected by NABC member coaches. The nation is divided into 25 districts.